I hope you’ve all had a relaxing Christmas with friends and family and that you’re all looking forward to starting a new year. After what was thrown at us over 2016, I can imagine that many of you have been looking back at the past 12 months and wondering how you got through it all. I’ve also felt that way but I have to say that it’s been all of you that have kept me going through the bad times – you and being outdoors watching wildlife. I’d like to take this opportunity to say a big thank you for all of your support and good wishes and for sharing some very special moments with me. To show my appreciation, I’m including my usual special offers with this email (see below). At the end of each year, I look back on all of my birding moments and try to decide on a top 5. This is always a hard task but well worth doing as I get to relive all the highlights of the past 12 months. My record keeping wasn’t as good this year so, if you can think of any moment that you’ve shared with me watching birds where I was particularly overwhelmed then do let me know. watching 3 female and 1 male smew at Fairburn Ings last February. 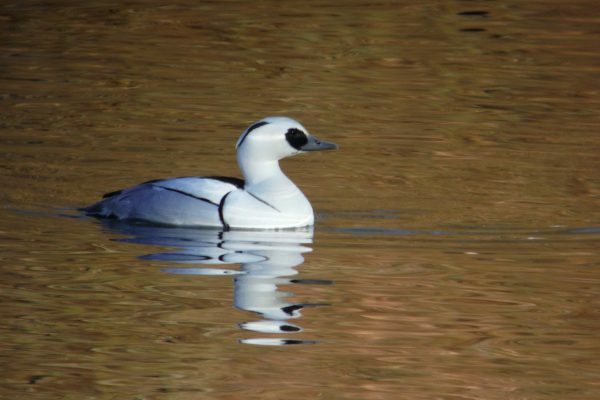 I’m such a smew fan, and we don’t get to see them too often in a small flock, that it just had to be my favourite moment – hopefully to be repeated very soon. I’ve had many garden moments too and I’m particularly enjoying watching a flock of redwing eating my cotoneaster berries at the moment. I wish you could be here to see them. I’ve also got a lovely male brambling here with chaffinches.